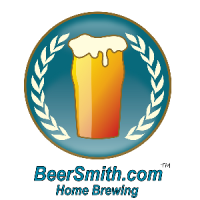 After several days of working on the BeerSmith Podcast feed, I’m happy to say I now have every episode of the BeerSmith podcast available on my iTunes page now. So now you can catch up on any of the older episodes you may have missed and listen to them on your iPhone, iPod or iPad device. I’m also working on higher quality video content for the podcast which I will post tomorrow starting with episode #75. I’m working to encode and eventually have the video on an iTunes channel as well. For now you can catch video of the podcast on my updated youtube channel here. Hallelujah! An invaluable resource. I often find myself referring back to past Beersmith episodes, so I keep them all handy on my iPhone. Cheers!